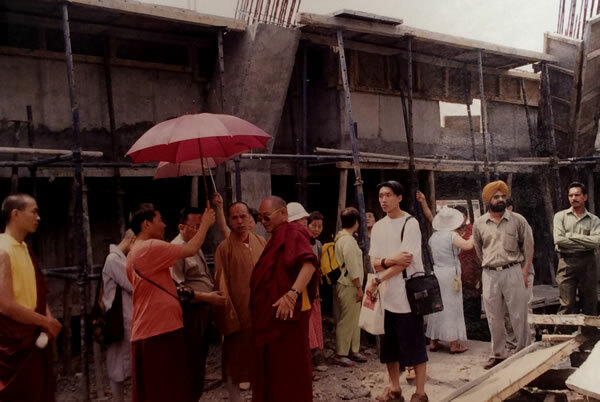 After the devastating earthquake of 21st September 1999 in Taiwan, which killed thousands of people, Venerable Master Ti Ching requested Kyabje Mindrolling Trichen’s guidance regarding what to do in memory of those who lost their lives and to pacify natural disasters in his country. 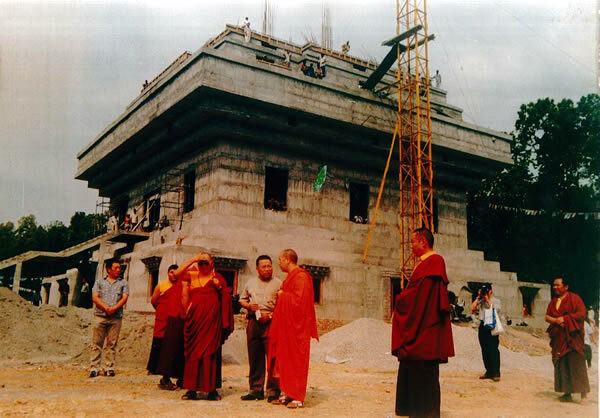 Kyabje Mindrolling Trichen advised Venerable Master Ti Ching to build the largest stupa possible in Taiwan. 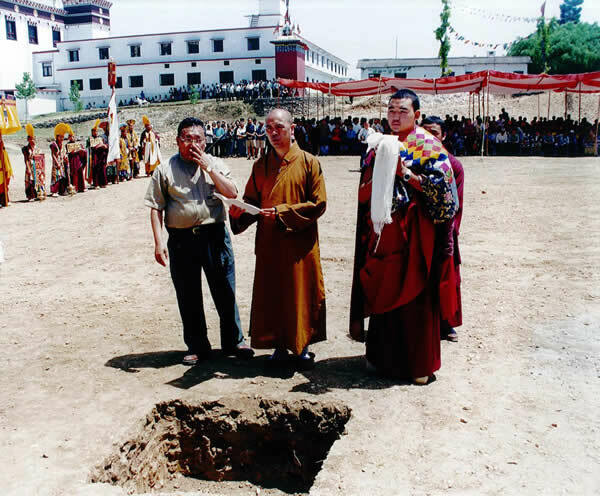 Building such a stupa in Taiwan was not possible, so Venerable Master Ti Ching sponsored its construction here, at Og Min Ogyen Mindrolling in India. It is called the Great Stupa for World Peace — the world’s largest stupa and a magnificent example of Buddhist art and architecture.